Reverend Arthur P. Sengpiehl dedicated his life to sharing the gospel with others, and in doing so, he left behind a legacy that Northern Seminary is proud to honor through the Arthur P. Sengpiehl Evangelism Scholarship. The scholarship was created by Rev. Sengpiehl only 3 years prior to his death in 1981, and it continues to support his passion for evangelism today. In order to understand this passion and the origin of this wonderful scholarship, it is important to understand Rev. Sengpiehl’s dedication to evangelism. In pursuit of God’s calling, Rev. Sengpiehl served as a pastor in four different states and ministered as an Army Chaplain for over 20 years before joining the Northern Seminary staff as the Seminary Evangelist. In his 14 years on staff at Northern, he hosted evangelistic meetings in local churches across the country, and through this amazing outreach initiative, he was able to personally lead over 7,500 people to the Lord. Even in retirement, he spent 16 years serving in 8 different interim pastorates, including his last pastorate, which ended only one week before his death. In honor of Rev. Sengpiehl, every year, Northern Seminary happily awards a student who demonstrates an interest in evangelism with the Arthur P. Sengpiehl Evangelism Scholarship. Dave Schubert and Janet Waychoff are just two of many students that have been impacted by this Scholarship. For Dave Schubert, attending seminary would not have been possible if it were not for the Arthur P. Sengpiehl Evangelism Scholarship. Having no prior ministry training, Dave was extremely grateful for the opportunity to attend Northern Seminary. Building upon what he learned at Northern, Dave started Four Corners Church, which has grown into a congregation of over 200 people in just 3 years. Today, Dave is focused on planting other churches through a model of discipleship that he discovered while studying at Northern. The impact that the Scholarship had on Dave helped produce a growing church and a mission for sharing Christ through church discipleship. Janet Waychoff experienced a similar blessing from the Arthur P. Sengpiehl Evangelism Scholarship. The Scholarship was in many ways an answer to prayer and an inspiration to Janet as she began preparing for her life in ministry. While completing a Masters of Divinity, Janet was called to be the Welcome, Evangelism, Hospitality Minister at First Baptist Church (FBC) of Oak Park, where she was ordained. In her service at FBC of Oak Park, Janet centered her ministry around evangelistic outreach and small group Bible studies. Following her graduation in 2003, Janet was called to the First Baptist Church of Rock Island, where she currently serves as the Senior Pastor. Today, her passion for evangelism, especially to children and the community, has allowed her to build ministries in ways that have led to church revitalization and growth within the body of believers. Rev. Sengpiehl’s commitment to sharing the word of God has been, and continues to be, an inspiration. Just like the many that have been affected by Rev. Sengpiehl’s ministry, Dave Schubert and Janet Waychoff look back on their seminary experience with gratefulness. Northern Seminary is proud to continue the legacy that Rev. 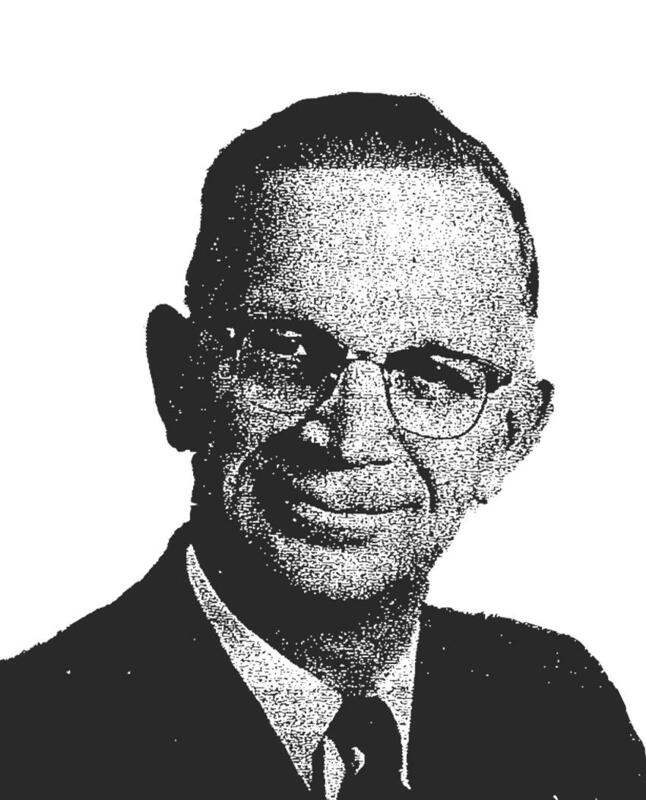 Sengpiehl left behind through the Arthur P. Sengpiehl Evangelism Scholarship.